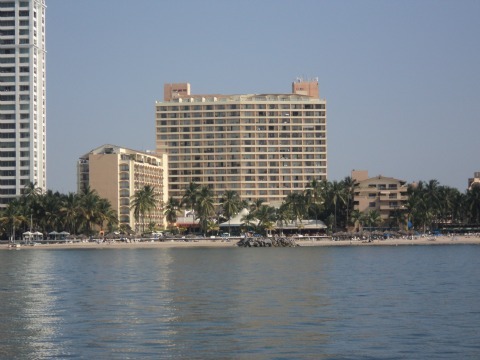 Puerto Vallarta beaches are located all around Banderas Bay. If you are looking for public, secluded, romantic or family fun beaches, they can all be found here! Puerto Vallarta offers something for everyone. If you are staying at one of the all inclusive resorts, the beaches are literally just a short walk away. Those of you who are renting condos or staying at the smaller hotels, may have to search out a beach. Please keep in mind that Sundays are the busiest beach day! Locals get off of work on Sundays and it's a favorite pastime for them to go to the beach. 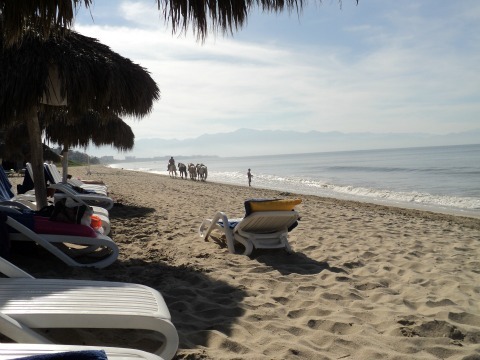 The most popular beach for tourists is Los Muertos which is located in downtown Puerto Vallarta. This beach is bustling with activity from dawn until dusk. If you like to people watch this is the beach to go to. There are tons of restaurants, beach vendors and shops along this stretch of beach. If you are looking for a quieter more relaxing beach experience then take one of the water taxi's to Yelpa, Playa Las Animas or Quimixto. They are cheap and run often from the pier at Los Muertos. Although the boat tours do frequent these popular beaches, they are quieter than Los Muertos Beach. The Sayulita beach is about a 45 minute drive from Puerto Vallarta. This tiny fishing village is where the surfers go. You can rent boards and take lessons here. There are lots of food stands on the beach and many secluded coves if you want privacy. This is a very popular spot with the teenagers. You can catch a bus to Sayulita from downtown Puerto Vallarta. Conchas Chinas is the beach for you if you want to explore and see some marine life through clear waters. It is located beside Los Muertos beach seperated by a rock formation in the bay. No food or drink vendors are allowed at this beach so plan on bringing your own. Any time you step into the ocean there are certain risks. Banderas Bay is home to abundant marine life including stingrays and jellyfish. Not all Puerto Vallarta beaches have crystal clear waters. If you are stung seek a doctor immediately. In the meantime, you can try to flush the area with vinegar until you find help. There are no lifeguards at many of the beaches. 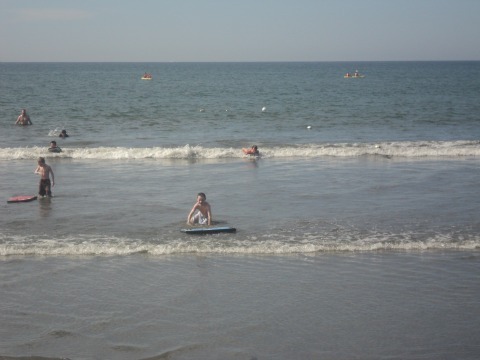 Always keep your little ones in arms reach when in the water at any of the Puerto Vallarta beaches.